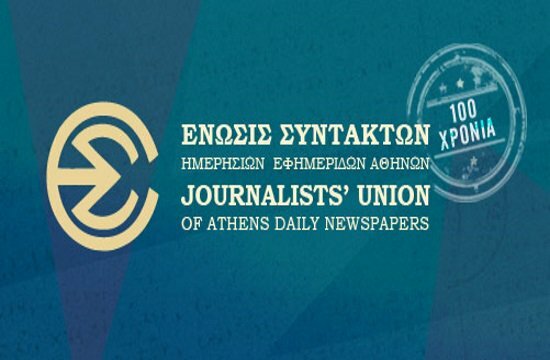 Journalists and their unions do not give in to blackmailing and intimidation attempts pursued by “dark circles,” the Athens Union of Journalists (ESIEA) said in a press release on Monday, following an attack against the Thessaloniki offices of daily Kathimerini earlier in the day. A group of about 10 masked individuals barged into the newspaper’s offices shortly after noon and threw paint and flyers and left before police arrived on scene. “The board of ESIEA expresses its support to the colleagues of all employees of the newspaper and notes that such actions, wherever they come from, will not weaken the moral of journalists for [providing] objective information but the state must do its duty,” the union said.